Happy September, mamas! 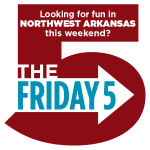 We can’t believe it’s already September, which is busy in Northwest Arkansas — lots to do! 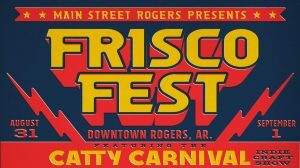 This festival in downtown Rogers has something for everyone in the family, including arts and crafts vendors, lots of live music and food. The event expanded its kid zone this year to include magicians, street performers and games. Don’t miss the Southern BMX (bicycle motorcross) Stunt Show on Saturday. Classic cars, hot rods and other cool rides gather each first Saturday of the month in downtown Springdale. The event is free, and so is the Dunkin’ Donuts coffee. Location: 203 E. Emma Ave., Springdale, AR. It’s located in the HelpCard parking lot downtown. If you & your family love Star Wars, head down to Lawrence Plaza for First Friday. This month’s free, family-friendly movie showing is Star Wars: The Last Jedi. Bring your own popcorn and folding chairs. Pesto Fest is (nonprofit) Tri Cycle’s biggest fundraiser of the year. Tickets are $30 per person, but children under 12 are free. Enter your own delicious pesto in the pesto contest, or simply sample everyone else’s while sipping local brews and enjoying live music. Kids can look forward to a pop-up petting zoo, Marshall Mitchell, Shaky Bugs and more. Location: Tri Cycle Farms, 1705 N. Garland Ave., Fayetteville. Parking will be directed and a shuttle available. This festival starts on Friday evening with the Hare and Hound Balloon Race. Bring your family on Saturday evening for a beautiful, exciting balloon glow—the balloons are tethered to the ground for the display. Tethered rides are $5 per person on Saturday. Several Balloon Race Competitions take place on Sunday. Time: Festival events are in the evening on Friday and Saturday, but take place all day Sunday. Learn history and techniques of shaker weaving from Melissa Weaver Dunning, a hand-weaver and spinner who uses antique weaving equipment to make 18th and 19th century style textiles. Location: Shiloh Meeting Hall, 121 W. Huntsville Avenue in downtown Springdale. Parking is accessible from Price Ave. Mother Nature reads nature stories and leads hands-on nature craft activities with children (most appropriate for ages 3-6) at Hobbs State Park. Admission is free and this month’s theme is trees. Miss Elyse will discuss “The First Drawing” by Caldecott Medalist Mordecai Gerstein and the fact that art is everywhere, and humans have been making it for thousands of years. Afterward, make a paintbrush using materials from the world around us that are hidden in plain sight. 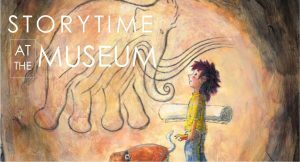 Storytime events at the museum are free and geared toward ages 4 and up, but kids of all ages are welcome. Explore the science behind movie-making in this workshop for Scouts (level: cadette). 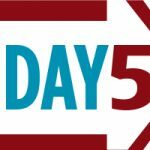 Here’s a chance to see what it takes to create a movie from start to finish. Admission is $17 per scout, which includes the processing fee. One Troop Leader and one co-Leader are free. Advanced registration and payment are required through Girl Scout Council. Time: workshops at 9:30-11:30 a.m. and 1-3 p.m. This adults-only evening will feature music by Rachel B/Table for 3, “Experience the Old-Time Ozarks” activity stations, local food trucks, adult beverages, cake, and a signature ice cream created by Loblolly Creamery for the museum’s anniversary. The event is free, but reservations are required. Call 479-750-8165 or email shiloh@springdalear.gov by August 31 to make your reservations. 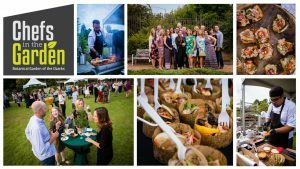 Share the excitement of harvest season by enjoying creations by the area’s finest chefs at the Botanical Garden of the Ozarks. Guests can stroll through the garden indulging in a diverse selection of sweet and savory culinary creations. This year’s Honorary Chef is Mario Valdovino, Corporate Executive Chef and Senior Director of Culinary Innovations in the Research & Development Department at Tyson Foods. He’s the go-to guy for creating some of Tyson’s tastiest cuisine. He has also appeared as a guest judge on “Chopped” on the Food Network. 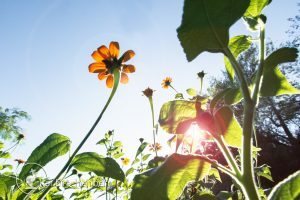 Admission is $50 for garden members and $75 for non-members. Infants 6 to 17 months old and their favorite adult will play together in activities that encourage physical growth, social-emotional development, and emerging language skills. A new topic is explored each month. Admission per child and adult pair is $10 for Amazeum members and $15 for non-members. Advanced registration and payment required. Families with children 6 years and under (as well as mixed-age family groups) can explore, play and discover together. The STEAM Studio embraces children’s natural curiosity and develops an interest in science, technology, engineering, art, and math. Be a co-creator of knowledge as you discover with your child. No registration required. Fees are included in paid daily admission or membership. Location: Amazeum. Ask guest services for location upon entering, since location varies. Enjoy live jazz performances all over Eureka Springs in a series of concerts this weekend in mid-September. This is Terra Studios’ annual fundraiser event. 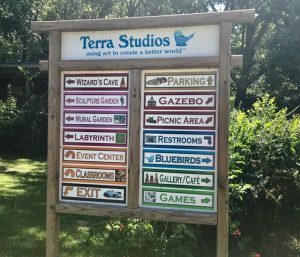 Come wander through the magical six-acre Art Park at Terra Studios to experience the spirit of unique Song Circles, Heritage Folk Arts, Local Craft Vendors, Live Art Demonstrations, Delicious Food Trucks, and more. $10 pre-sale tickets available through Sept. 8 and $15 day-of admission at the gate. featuring local businesses opens to the community. For families, young professionals, outdoor enthusiasts and adventurers and explorers. Living Lively is a new local 501 (c)3 nonprofit and this is the organization’s first big fundraiser. The event will be headlined by local musician Pat Ryan Key. Concert begins at 3 p.m., but the fun starts before then. The festival opens at noon with carnival-style games, family friendly activities, and refreshments. Field day races including three-legged race, egg and spoon relay, and balloon races from 12:30-2:30. The festival will feature raffles and a silent auction. Living Lively works to end loneliness and improve quality of life for older adults by providing personalized in home social interaction to isolated individuals in Northwest Arkansas. Volunteers are matched with an elder companion based upon personalities and interests. Chalk it Up is an event for children of all ages who are interested in art. Activities include sidewalk chalk, card making, model clay, face painting and making bead jewelry. A Caricaturist will attend to draw your picture. This event is free and open to the entire community, no tickets necessary. 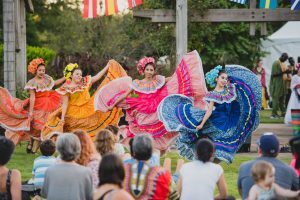 It’s a part of Welcoming Week, a series of events nationwide bringing together immigrants, refugees and native-born residents to raise awareness about the benefits and importance of welcoming everyone. Time: 2-7:30 p.m. Event doors open at 2 p.m. and booths will be open from 3-6 p.m. The event will wrap up at 7:30. Discovery Tots workshops are perfect for toddlers ages 18-36 months and their caregiver to learn and grow together. This special hands-on playtime will develop language, big body, and fine motor skills. A new topic is explored each month. 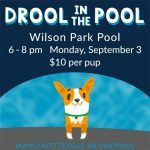 Fee per child/adult pair is $10 for Amazeum members and $15 for non-members. Advanced registration and payment required. 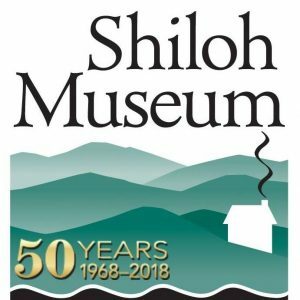 Ann Early, a state archeologist with the Arkansas Archeological Survey, will discuss the art and craft of prehistoric Indian pottery at the Shiloh Museum of Ozark History. 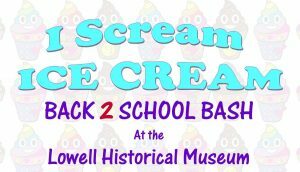 Join the Lowell Historical Museum for free ice cream and fun while you check out businesses and vendors with products and services for students of all ages. The Amazeum is looking for the next big names in the movie biz. Bring your Scouting adventures to the big screen and your fans will be on the edge of their seats. One Pack Leader and one Co-Leader are free, scout fees are $15 each. Register at 479-268-4542 or reservations@amazeum.org. Folks of all ages are invited to the museum’s 50th Anniversary Family Celebration. Activities include a scavenger hunt, old-fashioned toys and games, life-size historic cut-outs for photographs, and cake and ice cream. The event is free; reservations are not required. Stage One Entertainment proudly presents Disney’s Aladdin, Jr. Saturday September 22. A matinee begins at 1 p.m. and the evening show is at 6 p.m. Admission for adults is $10, $5 for children 12 and under. Tickets are available at the door. Time: 1 p.m. and again at 6 p.m.
Children ages 3-5 years old and a caregiver will become keen explorers of their world. Engaging activity zones will inspire curiosity, skill-building and new ideas to grow on. Explore a new topic each month. Advanced registration and payment required. Fee per child/adult pair is $10 for Amazeum members, $15 for non-members. Come on out to the Farm for two nights of music and camping. Conveniently located along the official Eureka Springs Bikes, Blues, and BBQ route off of Hwy 187. There will be live music and BBQ and food trucks on-site as well as some local craft vendors. Just an all around weekend of fun. Camping is included and RV’s are welcome. Camping will be on a first come first serve basis. You can pick your spot and camp by your car. 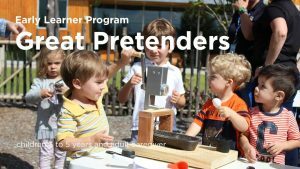 This family workshop is exploration driven by the child’s natural interest and curiosity about the world around them. Workshops focus on making things with real materials, opportunities for using tools and open-ended activities that emphasizes process over product. For children ages 3-6 years and one adult caregiver. We recommend no more than 3 children per adult. Advanced registration and payment required. For Amazeum members: $5 per child, $5 per adult caregiver and for Non-members: $7 per child, $7 per adult caregiver. Author and professor Brooks Blevins will discuss his latest book, A History of the Ozarks, Volume 1: The Old Ozarks at the Shiloh Museum of Ozark History. This book is the first of a trilogy, in which Blevins explores the region’s history from first human habitation up to the beginning of the Civil War. Come witness the action as our drivers bring their cars to battle “old school style” to compete for prize money and bragging rights. Demolition Derbies are fun for the whole family. Tickets go on sale Monday, September 17. Time: Gates open at 6 p.m., event starts at 7:30 p.m. The APO kicks off the 2018-2019 season with an exciting and fun family-friendly program. Dress in costume and experience some of your favorite Halloween-themed music. We will have a costume contest and prizes for different ages! 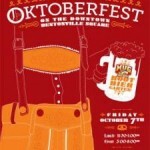 Northwest Arkansas October Calendar + Halloween activities!